How low can it go? 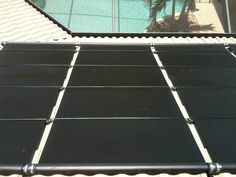 That is the question that solar contractors and customers have been asking for the last year. In the last 6 months alone, the cost of solar photovoltaic modules has come down 20%! Every time I get a new price sheet from a manufacturer, I am amazed to see a new low. That is not to say that the total cost of a solar photovoltaic system as a whole is nosediving. The modules are now a small percentage of the total cost of system ownership. Just two years ago, the solar modules could be upwards of 60% of the total price. 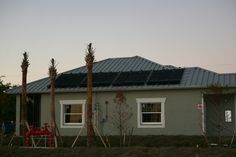 Now the modules represent under 1/4 of the cost of the installation! That means further price drops on systems will need to come from other areas. Unfortunately, as I pointed out in yesterday’s post, some costs are actually increasing. There are some fixed and semi-fixed costs that are unavoidable, like design/engineering, permitting, travel time, etc. We can look to the inverters for price savings, but competition is quite high already and component and material prices are not expected to drop significantly. Mounting systems are another significant cost, but with ever-increasing requirements for storm sustainability in hurricane prone Southwest Florida, we are seeing the need for more material and attachments in our rack systems, not less. 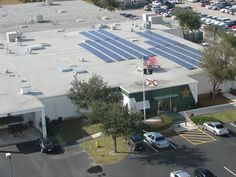 There is already a good level of competition in the solar contracting industry with several businesses in Fort Myers, Cape Coral, and Naples. Labor costs are already a small percentage of the system price. Overhead and profit are at minimal levels to sustain business and adequately support customers with service after the sale and warranty allowance. Although solar module prices have plummeted recently, there has never been a better time to go solar. True, the price of modules may continue to go down – nobody can say for sure. However, with modules making up such a small part of the overall cost of the system, there is little incentive to wait and see.